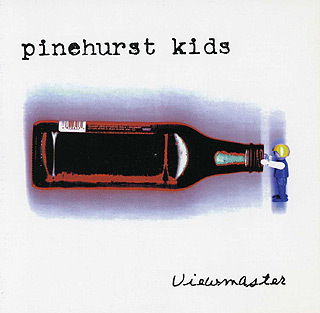 The presence of the word "kids" in these Pinehurst fellas' band's name should be a dead giveaway that their music isn't overly serious, ambitious, high-minded, or experimental, but rather, all about the simplicity and vitality of being a kid. Singer/guitarist Joe Davis's ragged, rousing anthems often recall Blake Schwartzenbach's Jawbreaker classics, to give you an idea of where these Kids are coming from. You got it, bouncy, down and dirty pop-punk that's so melodic and uptempo it feels cheery even when its lyrical content is a bit of a downer. If chugging guitars, thick, muddy bass lines, and strained, sincere male vocals make you weak in the knees, you're sure to go gaga for these boys. Even if they don't, it's hard not to be drawn in by the Pinehurst Kids adolescent vim and vigor.